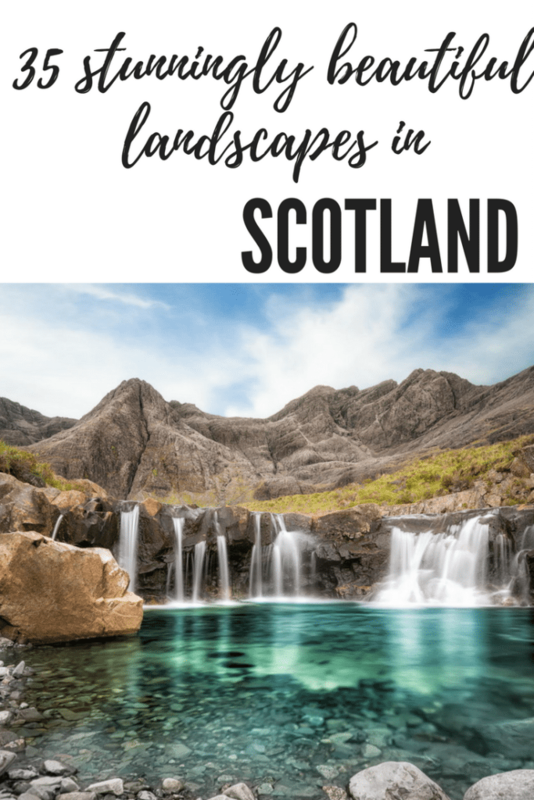 Looking for more Scotland travel ideas? 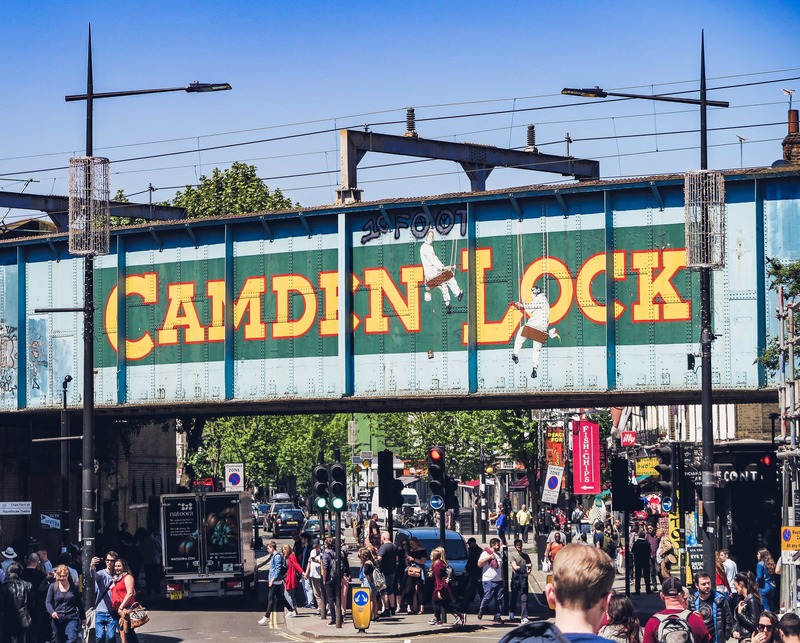 It might seem strange to include a piece of architecture in this list but then again this is pretty impressive architecture. 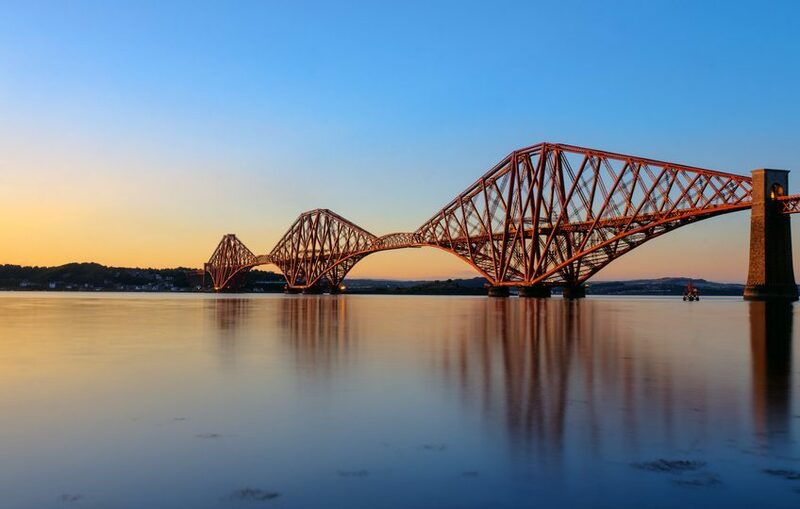 The Forth bridge, which spans the Firth of Forth, links Edinburgh and the Lothians with Fife. 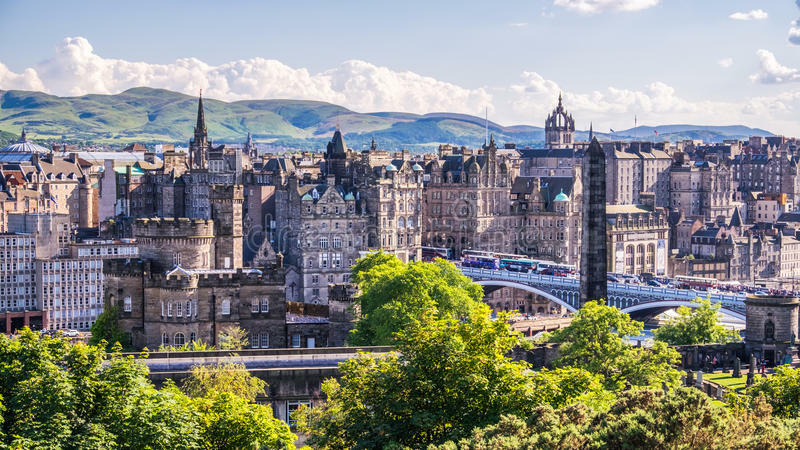 Due to its distinctive red colours and huge proportions it is one of Scotland’s most recognisable landmarks and makes for an incredible Scotland landscape. 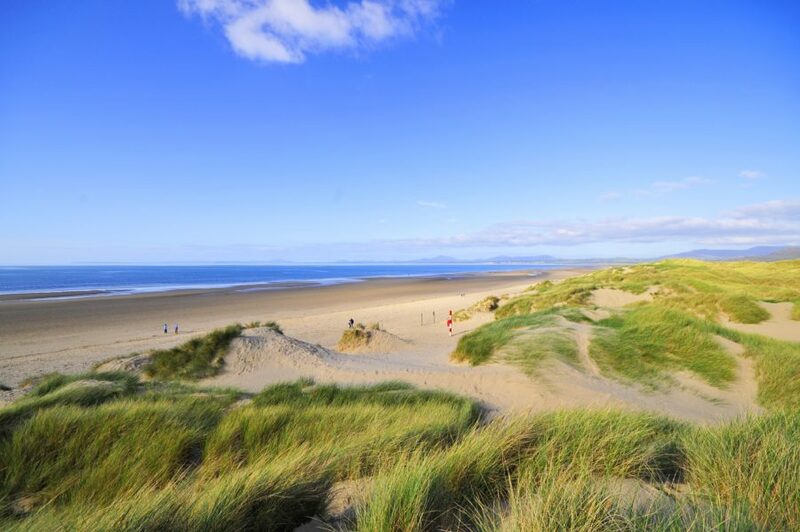 Make your way to Scotland’s most southerly point and you will be rewarded with dramatic cliff top walks among an RSPB Reserve and a Site of Special Scientific Interest. 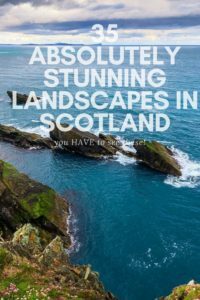 This is real Scotland scenery and offers some of the best views in Scotland. There are 115 steps to the top of the lovely, whitewashed lighthouse from where you can regain your breath as you take in the views. The Kelpies tower of the Forth and Clyde canal near Falkirk and are the largest equine sculptures in the world. The mystical horse heads have shimmering steel features. They’re also quickly becoming one of Scotland’s most photographed attractions. Well worth stopping off at on your way to the Highlands! The name alone conjures up some magical images and these pools don’t disappoint. 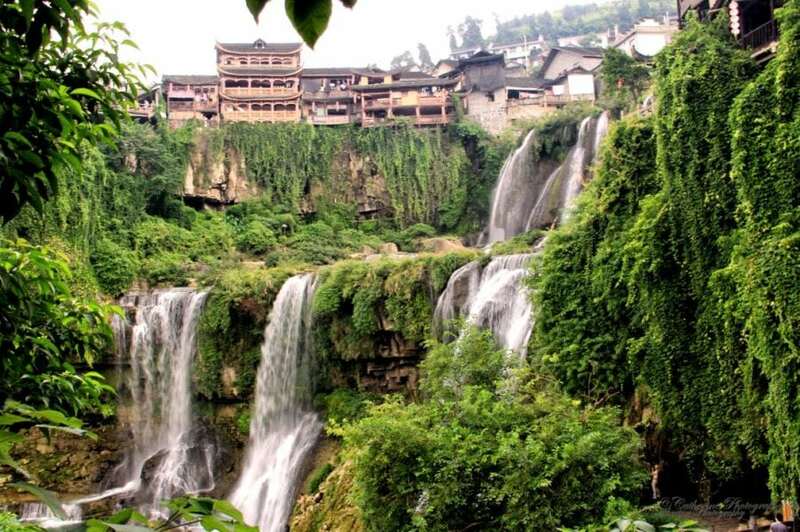 The waterfalls cascade down through the carved rock into vivid turquoise pools. 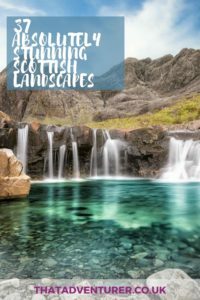 This has to be one of the best natural places in Scotland. 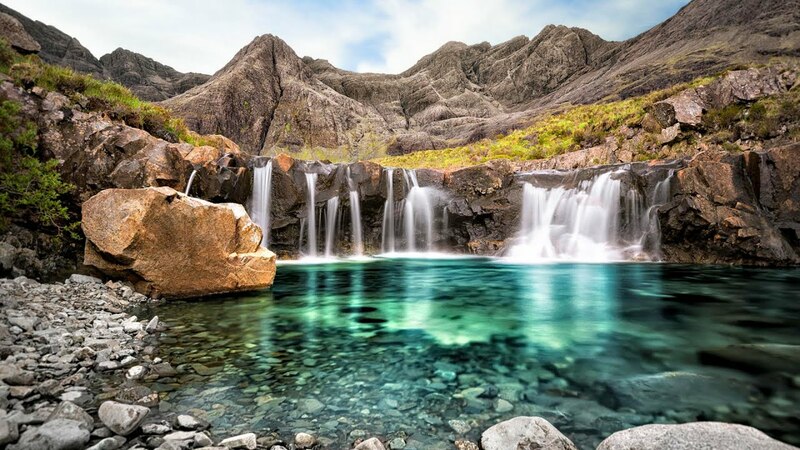 The Fairy Pools on the Isle of Skye offer one of the best views in Scotland too. 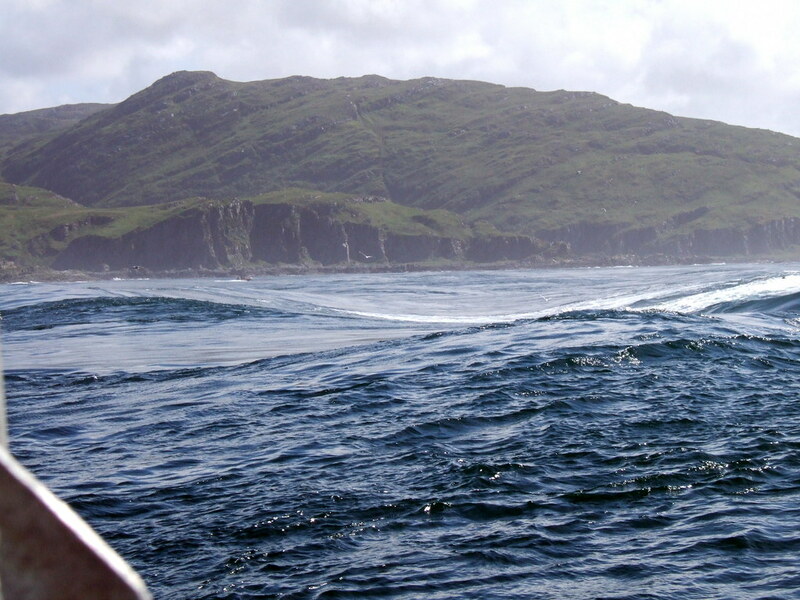 The third largest whirlpool in the world, Corryvreckan whirlpool is a spectacular natural phenomenon. It can be found between the Isles of Jura and Scarba. The best way to get up close to the whirlpool (safely) is to take one of the boat tours on offer. 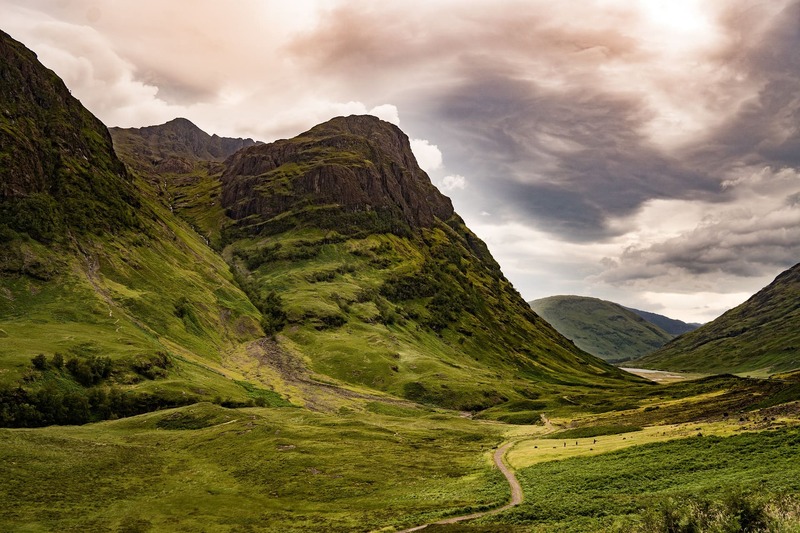 Both historic and atmosphere, Glencoe is the site of Scotland’s most infamous massacre. 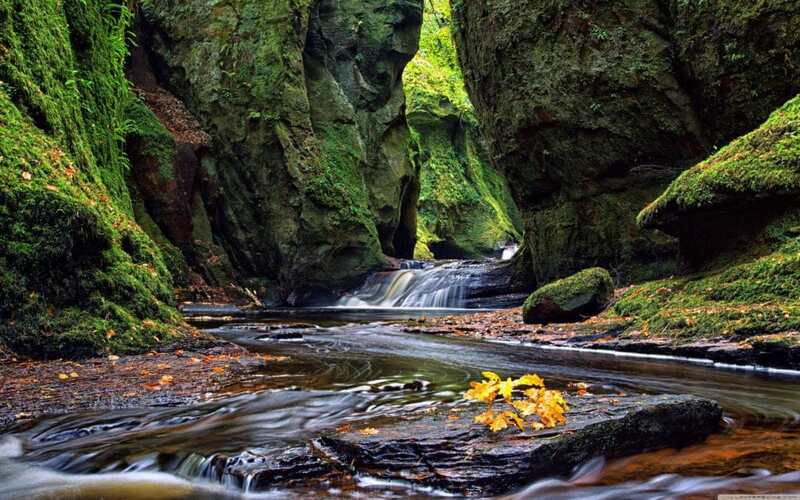 You may recognise the land from several Hollywood films since it’s just one example of amazing scenery in Scotland. 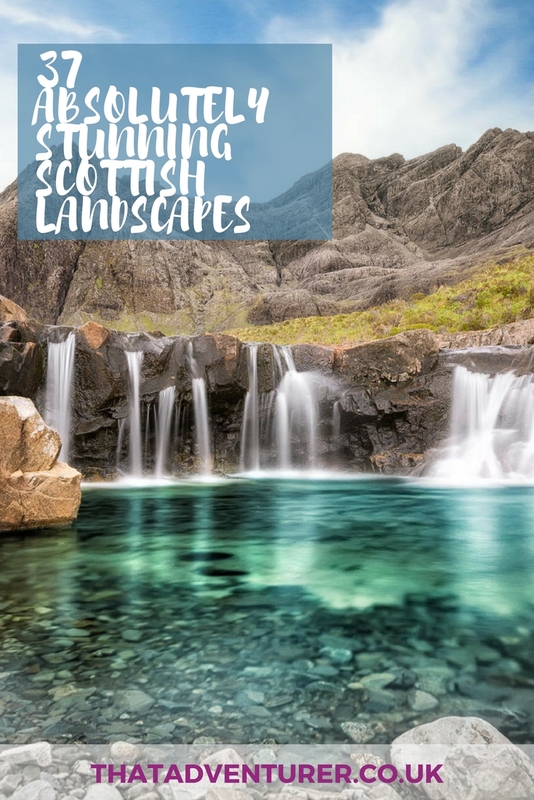 It’s no wonder Glencoe is such a popular feature on the silver screen thanks to its dramatic mountains, rushing waterfalls and whitewashed cottages which create an idyllic backdrop. Perched high on an old volcano overlooking the city of Edinburgh is Edinburgh Castle. One of Scotland’s most popular tourist attractions, the castle is home to the Crown Jewels and the Stone of Destiny. You can get a pretty great view of the city without paying for entrance, but you’ll find it hard to resist going inside. The Cairngorms National Park is the largest national park in the UK and one of many magical places in Scotland. 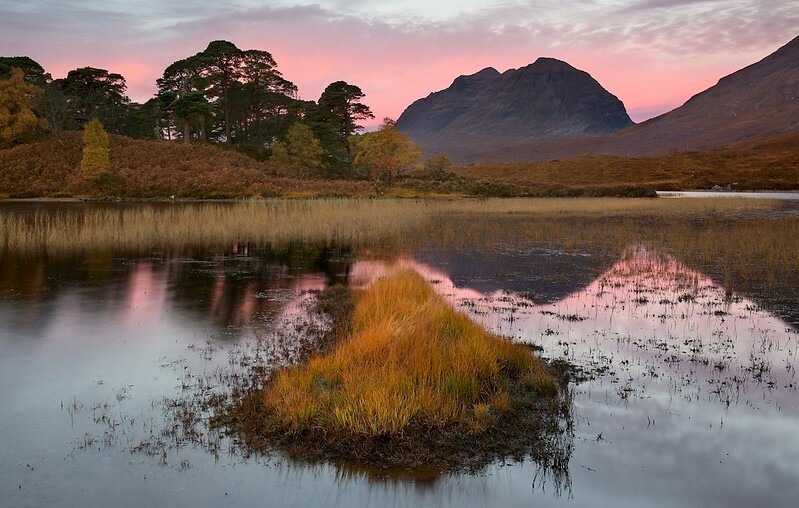 It’s known for its unspoilt beauty and native Scottish wildlife. 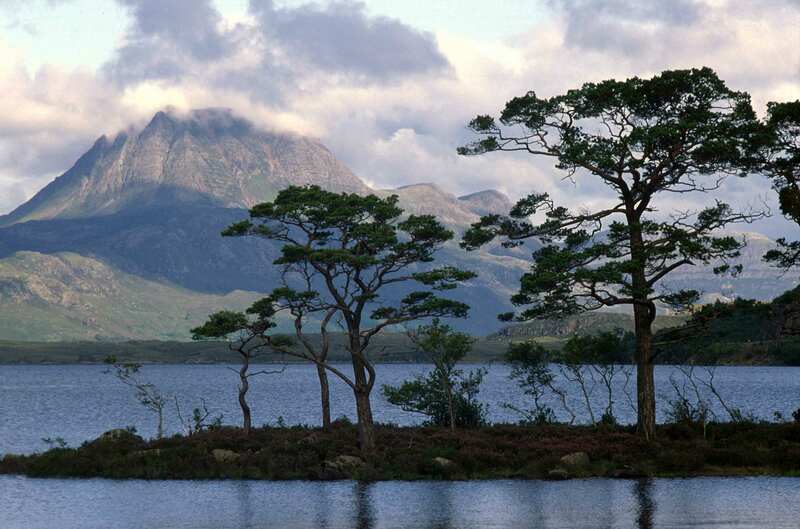 This area is also home to five of the six highest mountains in Scotland. There is plenty of hiking to do here just take extra care in the winter when its peaks are often covered in snow! Culloden Moor in western Scotland was the site of the last battle fought on British soil. It has since been restored to resemble the landscape of the time. It’s hard not to feel a shiver when you walk past the marked front lines and headstones. Practically every surface of this 15th-century chapel is covered in ornate and mysterious stone carvings and symbols. 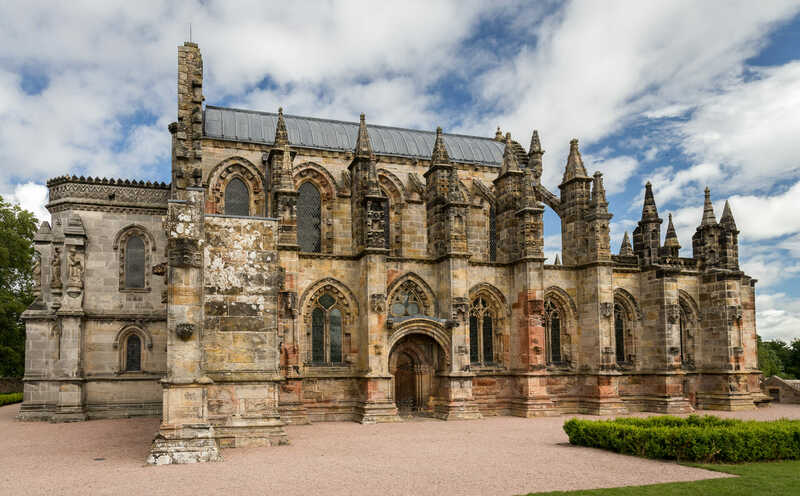 Surrounded in myth and legend it is said to be one of the most mysterious places in Scotland which led to its inclusion in Dan Brown’s hugely popular novel, The Da Vinci Code. Located in the Firth of Clyde you will find a little bit of Tibet in Scotland complete with prayer flags and stupas. At the moment Holy Isle is home to a Buddhist retreat and community as a result of its ancient spiritual heritage which dates back to 6th Century. The Ring of Brodgar has the accolade of being the 3rd largest stone circle in the UK. Found on the island of Orkney, this stone circle is believed to date back to around 2500 – 2000 BC. An iconic feature of the island, the reason for its existence still remains a mystery. On the approach to this small, uninhabited island off Scotland’s west coast. This landscape in Scotland greets you with giant hexagonal pillars of basalt rock and dark sea caves: Fingal’s Cave. The pillars are similar to photographers’ favourite, the Giant’s Causeway, in Ireland and are only reachable by boat from Mull. 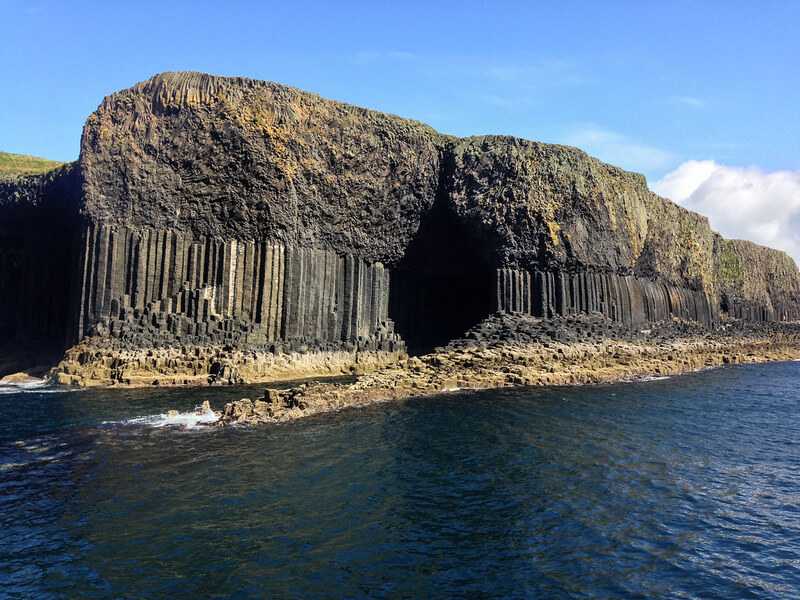 The geological marvel that is Fingal’s Cave, with its unique cathedral like structure, is one of the main attractions on the dramatic volcanic island of Staffa. 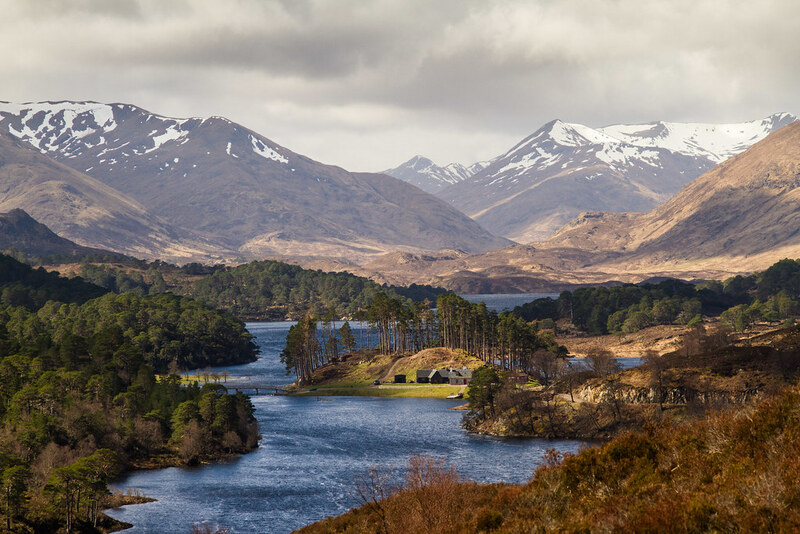 Trossachs is an area of outstanding beauty and it’s believed that legendary outlaw Rob Roy MacGregor once roamed the area. 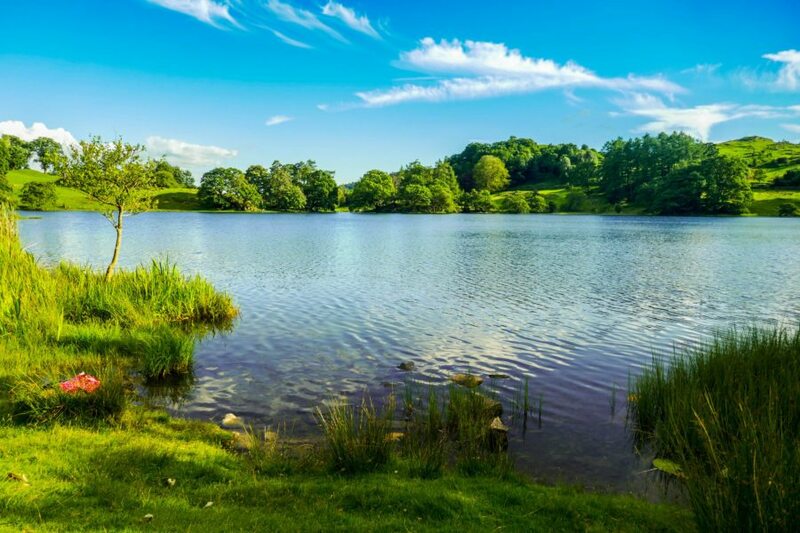 Since the 19th-century visitors have been drawn to Trossachs by tales and poems inspired by local legends and the romantic landscape. 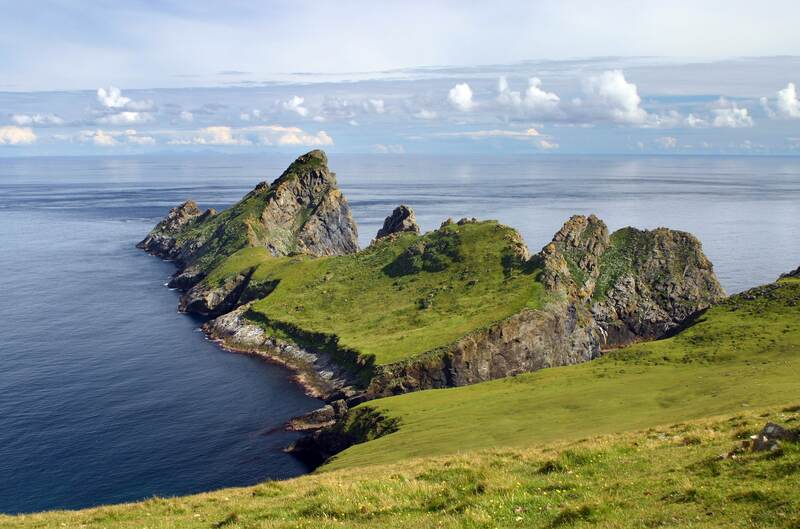 The archipelago of St Kilda sounds like it should be a Caribbean island. It’s not often you find much warmth here on “the islands on the edge of the world” though! The remotest part of the British Isles, St Kilda has been a wilderness since the 1930s when the last of the native population was evacuated. Nowadays the island is home to a magnificent variety of animal, bird and plant species. I personally prefer Loch Lomond to Loch Ness. It’s surrounded by greenery, the Trossachs, and is a lot calmer and peaceful given that it’s Nessies less famous neighbour. If you’re feeling flashy then hire a seaplane and cruise over the loch, or for you, adrenaline seekers, hire a jet ski and take it out on the lake. Have you ever seen a pink sand beach? 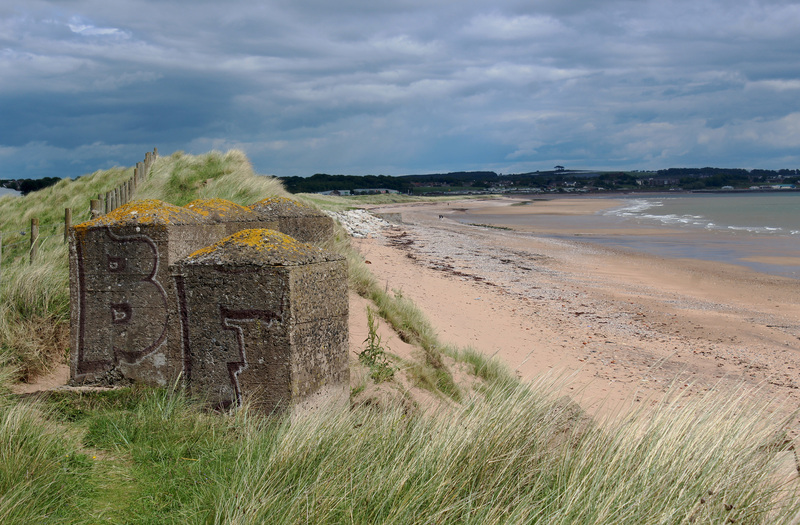 After a trip to the Angus Coast, your answer will be “yes!” The white sands of the west coast are renowned, but Lunan Bay is a lesser-known spot on the Angus coastline, in the east of the country, which has pink sandstone hues making for some gorgeous photos! 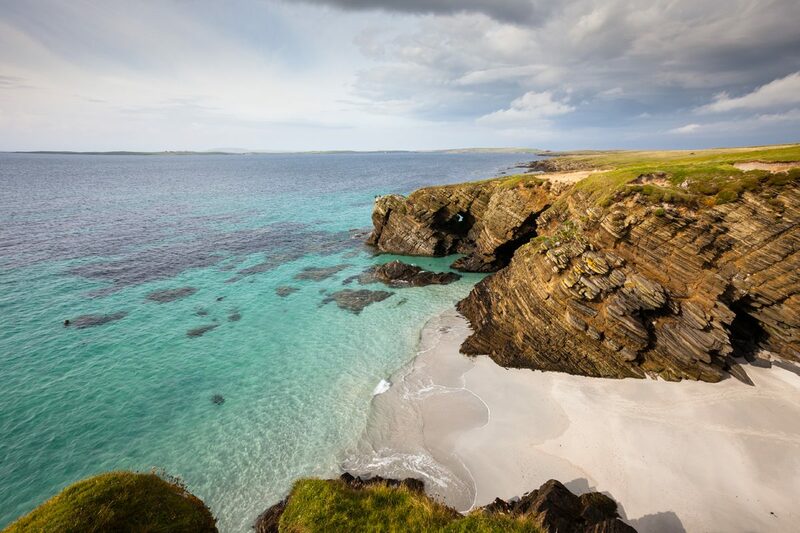 Visit Skara Brae on Orkney to visit a 5,000-year-old village. This neolithic village was hidden until a storm disturbed a sand dune back in 1850 and revealed what lied beneath. Now a UNESCO World Heritage Site, Skara Brae is well worth a visit if you’re on Scotland’s Orkney Island. 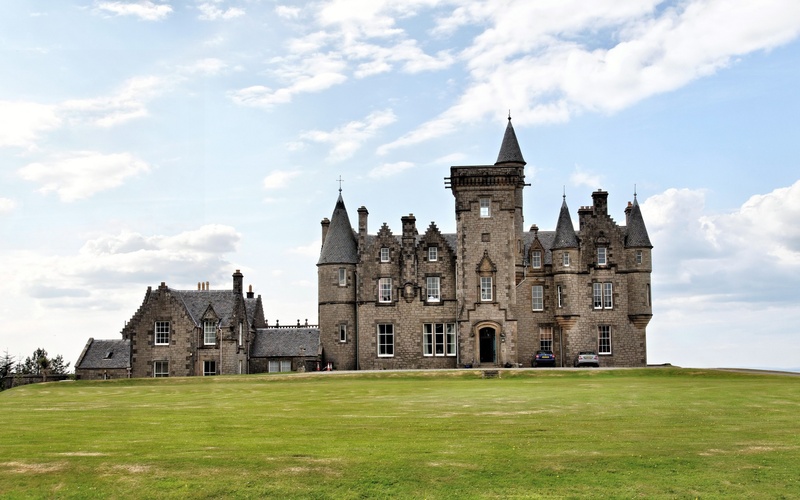 Glengorm Castle, on the Isle of Mull, occupies a glorious position surrounded by ruined stone circles, cobalt blue sea, and white sandy beaches against the dramatic black rock on Mull’s north coast. The castle is open to the public to stay the night and offer spectacular views! Glen Torridon is a sight to behold and is full of glaciation features. This is a scenic place of the highest order, seen from a single-track road through the glen. Another mountain area in the west that makes the list of most beautiful landscapes in Scotland is Kintail. To get there you’ll drive through Glen Shiel where you’ll experience wild green slopes disappearing upwards into a grey rock which is really quite magical to see. 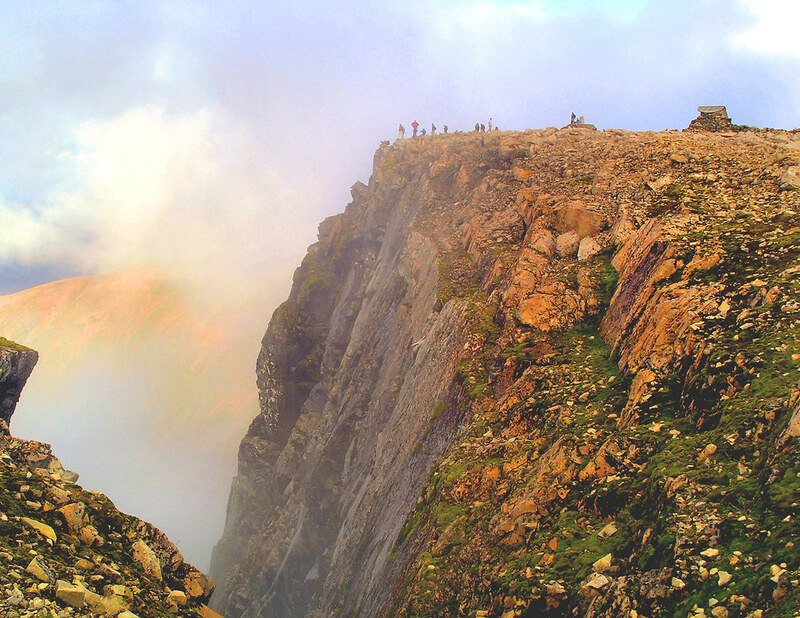 Towering 1,344m over neighbouring Fort William, the soaring peak of Ben Nevis is not only Scotland’s highest point, but the highest mountain in the whole of the UK. Stranded on the northernmost tip of the British Isles, the wild archipelago is famed for its unspoiled beaches, diverse wildlife and archaeological sites. The best time to visit is in January when the islands host Up Helly Aa, a fire festival that pays homage to their Viking heritage. Don’t want to sail all the way out to the Shetlands? 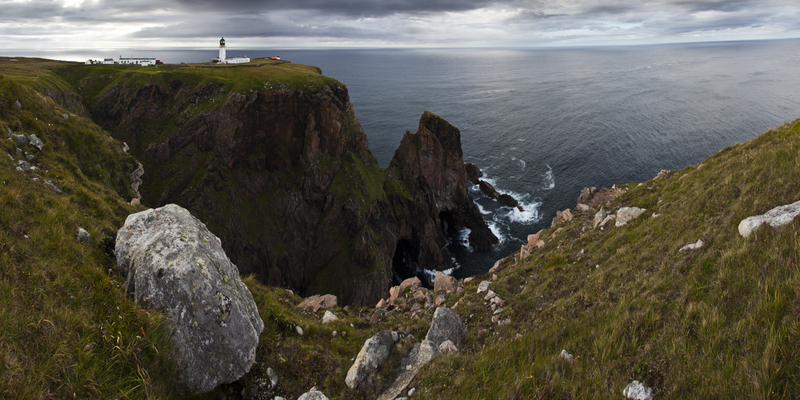 Head to the Orkney Islands instead, drifting just off the north coast of Scotland. 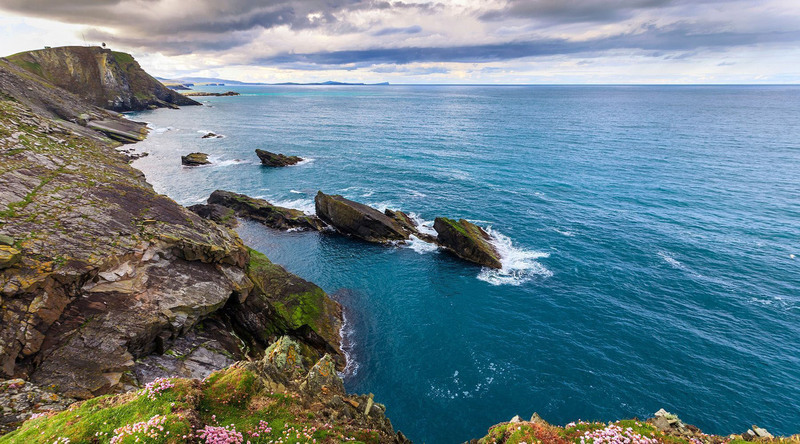 The miles of rocky coastline is teeming with wildlife and whether you choose to hike, cycle or sail, you’ll have the chance to spot puffin and seal colonies, giant Arctic seabirds and even dolphins. Much like Loch Ness, Shiel has its own monster inhabitant legend – at 70 feet long, the three-humped ‘Seilag’ apparently patrols the depths of the loch and has been seen multiple times since the late 1800s. Lay out your picnic blanket on the banks of Arthur’s Peak and watch the sunset over one of Europe’s most undeniably picturesque city skylines. 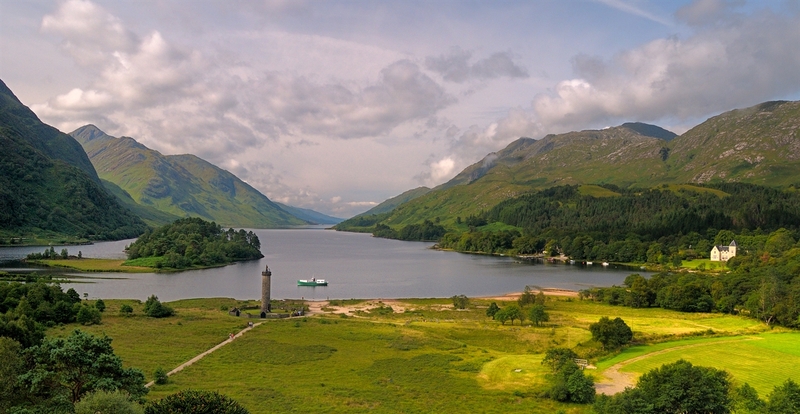 Scotland’s most well-known lake, or loch, is an impressive 23 miles long. On its shores, you’ll see picturesque villages, mountains and the ruins of Urquhart Castle. Look closely and you could be rewarded with a sight of the Loch Ness Monster! I wanna be everywhere below number 11. These places look amazing, i never knew that they existed. Also, great post! Big ups for you! Incredible images! Awesome read – many thanks!